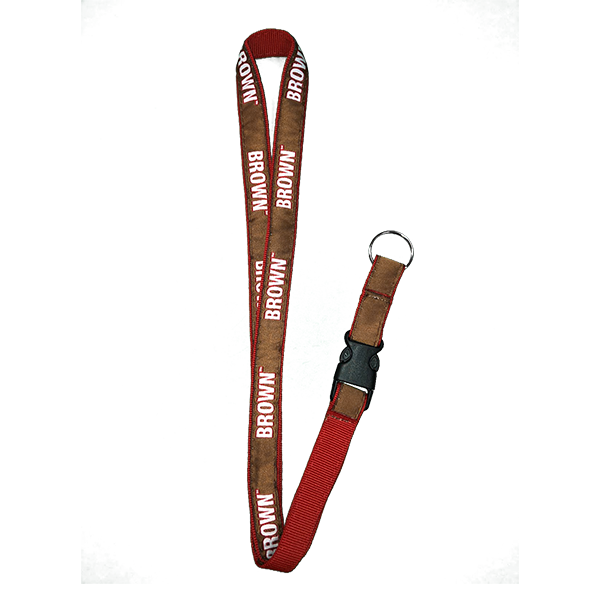 Burgundy or black lanyard with gold or silver glitter on band. 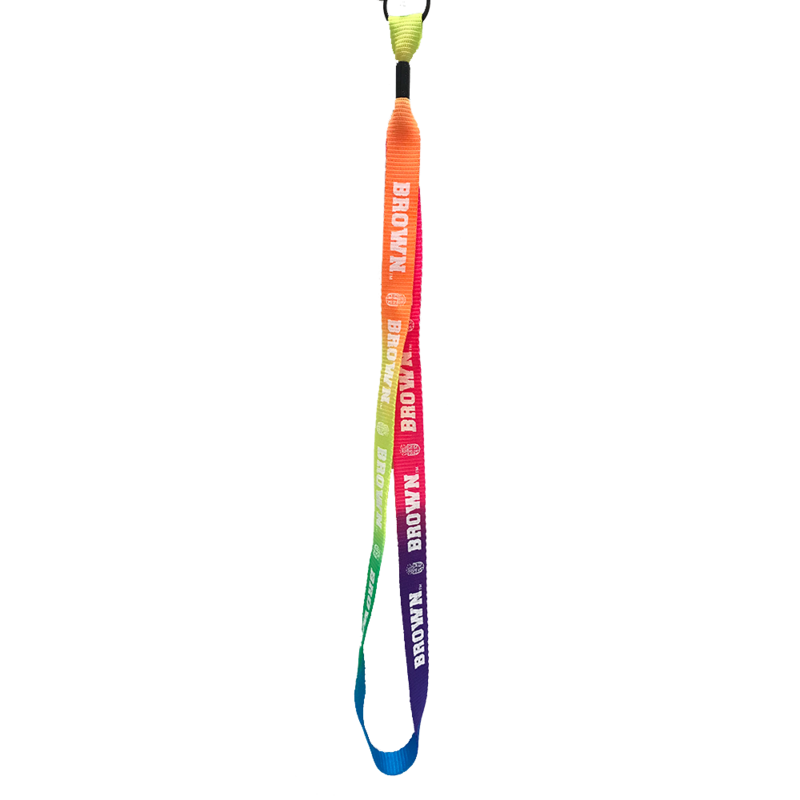 Please select option for Glitter Lanyard - $9.99. 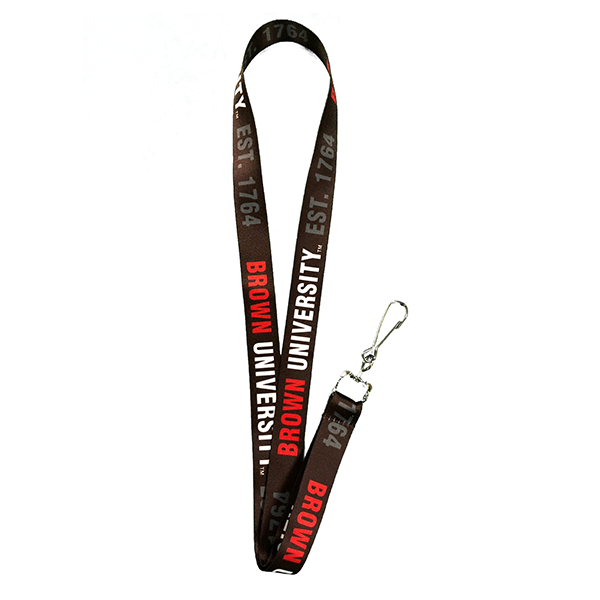 White shoelace lanyard with black plastic bead and silver clip. 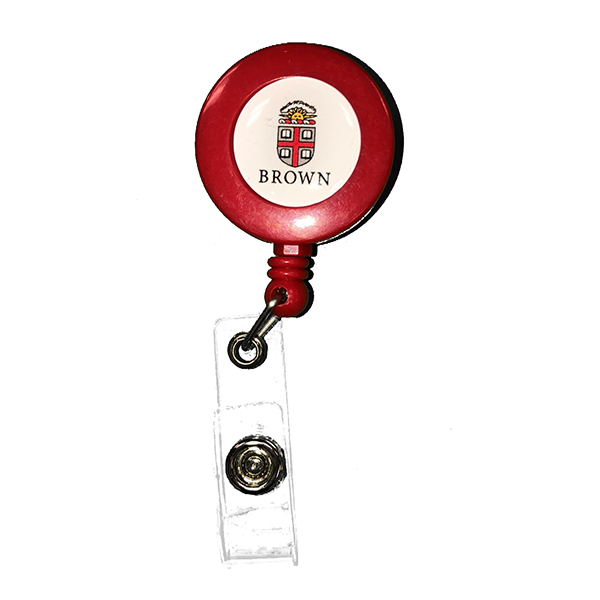 Pattern of 'BROWN UNIVERSITY' imprinted in brown on shoelace. 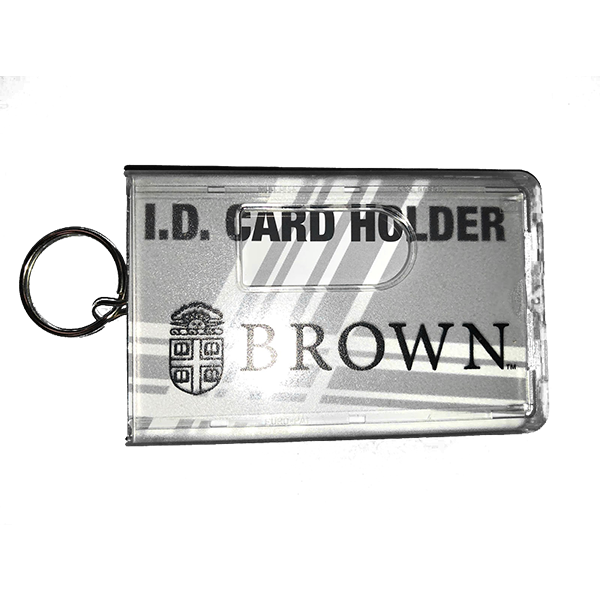 If only ordering one or two of this item, you have the option of 1st Class Mail for $3.00.--Put 'Mail for $3.00' in Order Comments. 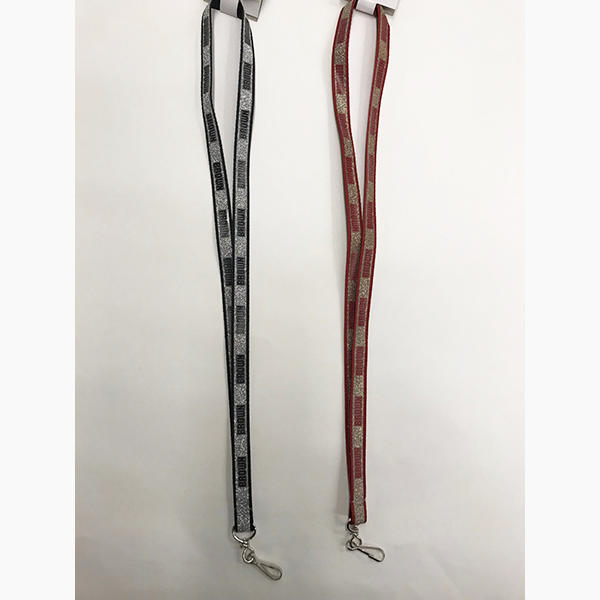 Multi-colored fabric lanyards with silver clips. 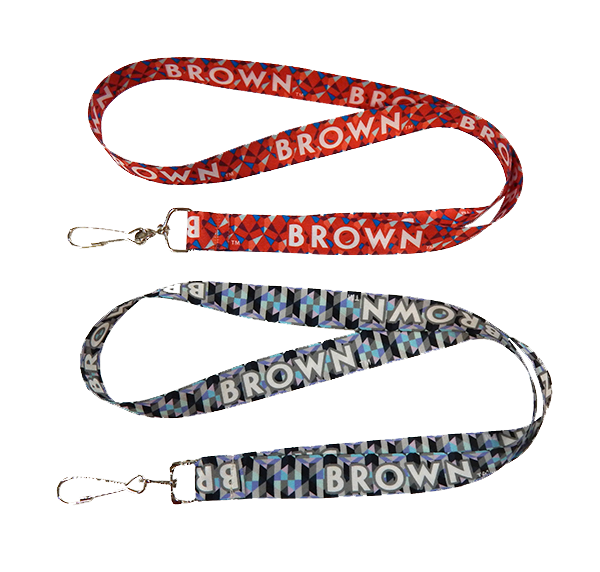 Pattern of 'BROWN' in white with red outline on red/teal/grey lanyard, grey outline on black/pink/purple lanyard. 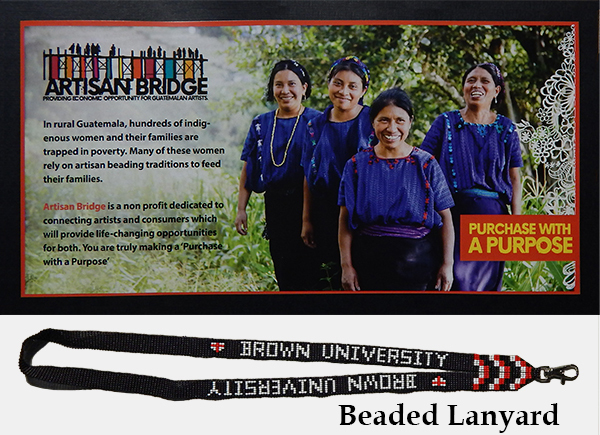 Please select option for Lanyards - Multi-Colored Brown Lanyards - $8.99. 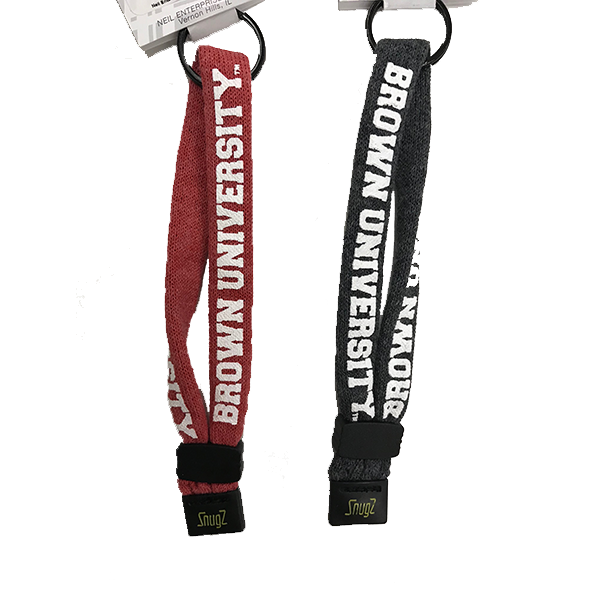 Please select option for Sweatshirt Material Wrist Lanyard - $8.99. 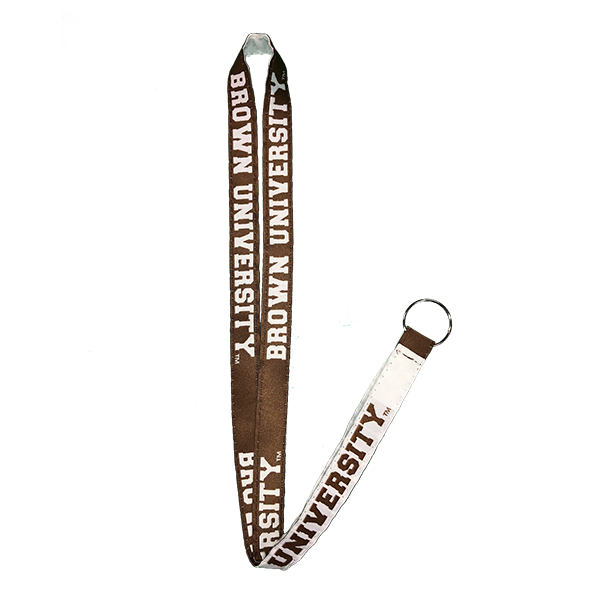 Tie dye colored lanyard with 'Brown' embroidered in white, alternating with Crest.